Samsara BioCapital was founded by Srinivas Akkaraju in 2016. Previously, from April 2013 to February 2016, Srini served as a General Partner of Sofinnova Ventures. From January 2009 until April 2013, he served as Managing Director of New Leaf Venture Partners. Previously, he served as a Managing Director at Panorama Capital, LLC, a private equity firm. Prior to co-founding Panorama Capital, he was with J.P. Morgan Partners, which he joined in 2001 and of which he became a Partner in 2005. From October 1998 to April 2001, he was in Business and Corporate Development at Genentech, Inc. (now a wholly owned member of The Roche Group), a biotechnology company, most recently as Senior Manager. Prior to joining Genentech, Dr. Akkaraju was a graduate student at Stanford University, where he received his M.D. and a Ph.D. in Immunology. He received his undergraduate degrees in Biochemistry and Computer Science from Rice University. 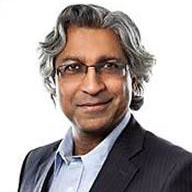 Dr. Akkaraju also serves as a Director of Seattle Genetics, Intercept Pharmaceuticals, Versartis and aTyr Pharma. Previously, Dr. Akkaraju served as a director on the boards of Barrier Therapeutics, Eyetech Pharmaceuticals, ZS Pharma, Synageva Biopharma Corp. and Amarin Corporation plc.